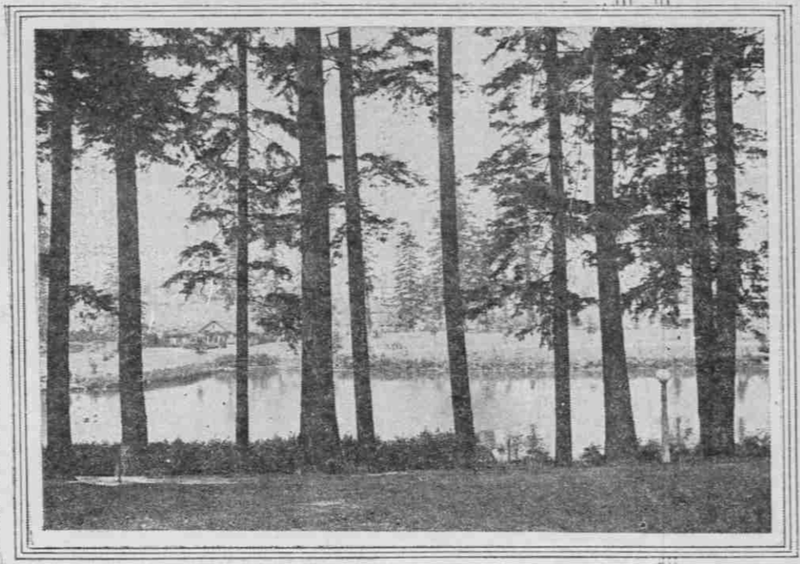 Virgin forests which in bygone days covered the area now comprising the large east side of Portland are brought to mind when one enters Laurelhurst Park. Standing on all sides of a beautiful lake, augmented by a wide variety of choice shrubbery, the trees furnish a picturesque scene difficult to surpass. Laurelhurst park is the mecca for those who seek to rest, those who desire to commune to nature and, above all, the delight of the kiddies who love to romp without restraint amid the natural beauties of the universe. 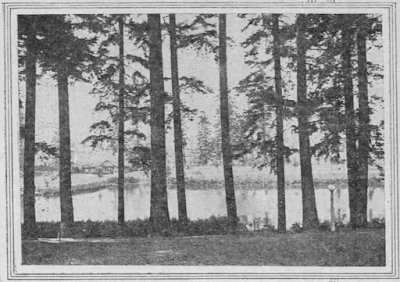 Thirty acres were obtained by the city of Portland in 1911 for Laurelhurst park. Sit as it is in the center of a beautiful residential district, easy of access from street car lines and main automobile thoroughfares, the park has become one of the most popular recreation spots in Portland. On hot days, especially when Old Sol’s rays are beating on the city’s pavement, the breezes murmuring in the trees in Laurelhurst bring comfort to all within its confines. It is said by park authorities that there is never a time when breezes do not blow in Laurelhurst park. The lake is this park covers three acres and furnishes the home of countless ducks and geese. In supreme control of this lake, its inhabitants and its trespassers is General John J. Pershing, the all-white swan, whose name, given him in honor of America’s famous military chieftain, is a result of the swan’s constant militant attitude. Day of sight, General Pershing “polices” the lake, and either by inference or speedy action, forbids children or grownups from approaching the edge of the lake shore. For General Pershing believes, it seems, that the beauties of the lake can be discerned from a distance. As a result of his watchfulness, the officials of the park bureau say, many children have been prevented from falling into the lake and thus obtaining an uncomfortable ducking or, possibly, even worse, loss of life. In addition to his “watch on the lake” General Pershing assumes parental attitude on each brood of ducklings which appears at Laurelhurst. Acting as guard over the nest, preventing overzealous amateur ornithologists from making casual or other investigations, has become a fixed duty in the life of this recognized supervisor of the lake. 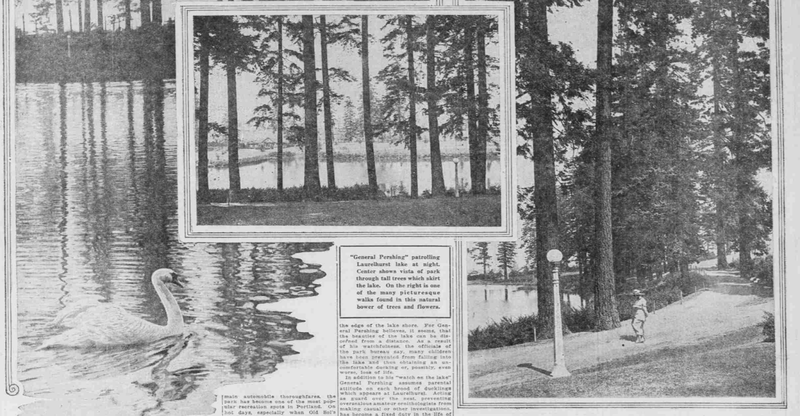 Many of Portland’s austere, business men remember Laurelhurst lake as their favorite “swimmin’ hole” 30 years ago. 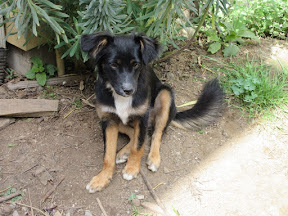 At that time it was much smaller and was fringed with tules. Then, as now, a spring fed the lake, preventing stagnation and providing a clear, fresh body of water. The park bureau drains the lake once or twice each year, after which Bull Run water is used in refilling it. At all other times the flow from the spring is sufficient to keep it in fresh condition. A few years ago, when Portland was faced with an unemployment situation, with thousands of men seeking work, the old swimming hole was transformed into a lake by enlargement and deepening. Portland lays just claim to the greatest variety of choice shrubs planted in one place on the Pacific coast, and this display exists in Laurelhurst park. The planting of these shrubs was done with the idea of having something in bloom at all times. The shrubbery is augmented by annuals and perennials which add to the color scheme and beauty of the park. What is claimed to be the greatest display of native and foreign azaleas in the northwest can also be found in this park. The seed for the native azaleas were obtained in southern Oregon and planted some years ago. Laurelhurst park is one of the city-owned parks in which automobiles are not allowed. No automobile driveways have been built due to the small size of the park. To offset this, however, are broad, picturesque walks which wind around the lake and between the huge trees throughout the park. The landscape in Laurelhurst park is especially delightful because it is not flat and monotonous, and yet has no hills of particular steep grade. The park embodies beautiful nature in the very zenith of glory, embellished here and there by the hand of men. The night scene there is of particular beauty due to the lighting system. The large highway lights, perched on high posts, produce an effect which attracts the attention of all passerby. 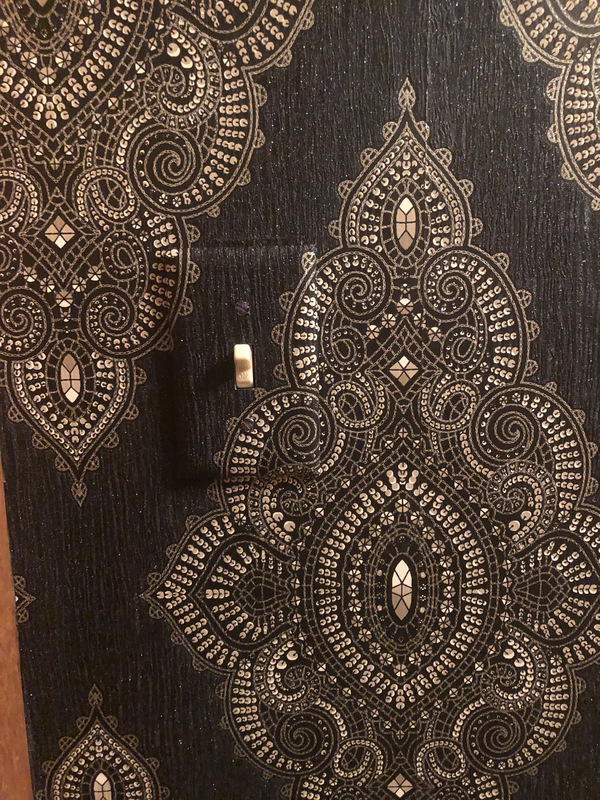 The lights are so dimmed as not to produce a glare from any point, yet furnish sufficient lighting in the park at night, together with making a remarkable picture of beauty. During a few weeks in the winter months the lake in the park is frozen over and is considered one of the best skating lakes in or around Portland. The park is adjoined by a well-equipped and constantly supervised playground, which throughout the summer months is in use constantly by the youngsters who go to Laurelhurst park. Virtually every kiddie in Portland who is acquainted with park activities is familiar with Laurelhurst park, for every large pageant, community sing or similar affair is staged here. The natural beauty of the park lends itself to pageantry far better than any of the municipal playgrounds and parks. Laurelhurst park is bounded by East Oak and East Ankeny and East 33rd and East 29th streets and can be reached by street car by taking either the Laurelhurst, Montavilla, Mount Tabor or Sunnyside care lines. Anyone who has not yet visited this beauty spot has missed something worth while. An afternoon or evening spent in Laurelhurst park can be listed as time profitably expended. 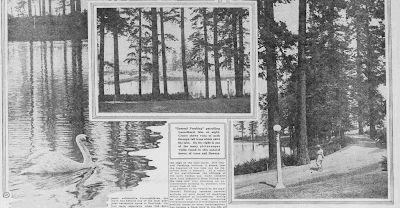 Picture caption: "General Pershing" patrolling Laurelhurst lake at night. Center shows vista of park through tall trees which skirt the lake. On the right is one of the many picturesque walks found in this natural bower of trees and flowers. 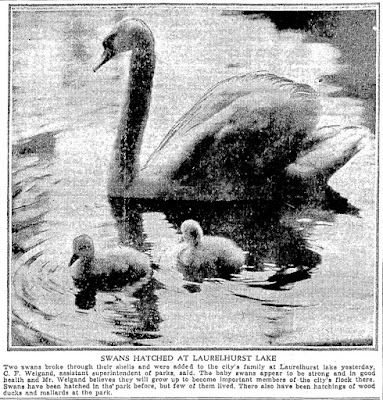 Two swans broke through their shells and were added to the city's family at Laurelhurst lake yesterday, C.F. 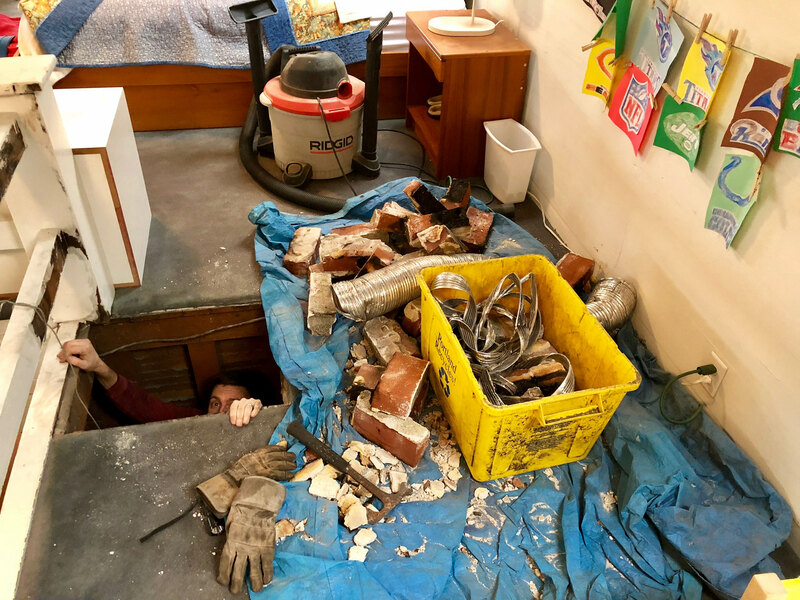 Weigand, assistant superintendent of parks, said. The baby swans appear to be strong and in good health and Mr. Weigand believes they will grow up to be important members of the city's flock there. Swans have been hatched in the park before, but few of them lived. There also have been hatching of wood ducks and mallards at the park.